Continuing the tour of Eagle Rock's Shearin Drive, a street where a thousand costumed children descend come Halloween, here's your new home/candy dispensing station. Located at 5163 Shearin Avenue, this two-bedroom is asking $450,000 or $432 a square foot, a higher price than similar sales in the neighborhoods. 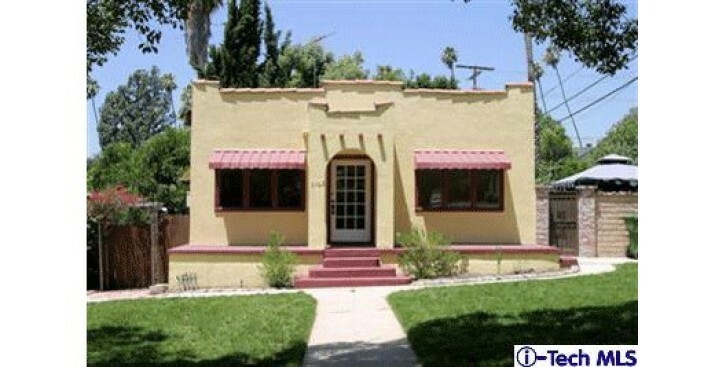 More via the description: "Vintage 1922 Spanish home located on a prime, tree-lined street above Colorado Blvd. Walk to the trendy restaurants and shops on Colorado Blvd." Last sale was in October 2006 for $590,000.